In the second book in the explosive Search and Destroy thriller series, Mason Kane, a special ops hero with a questionable past, joins forces with the CIA to neutralize a radical off-shoot of ISIS and unravel a conspiracy emanating from the White House's inner sanctum. After almost losing his life while foiling a terror plot that threatened to draw the United States into another war, Mason Kane, disgraced American soldier and special operations legend, is still on the government's blacklist. To finally clear his name, Mason strikes a deal with the CIA, throwing himself back into the deadly world of black ops. But when an asset tied to ISIS leads an old friend into a trap, Mason goes off the grid and finds himself trapped in the middle of a plot involving an extremely violent and highly capable terror cell-with ties to the US president's inner circle. 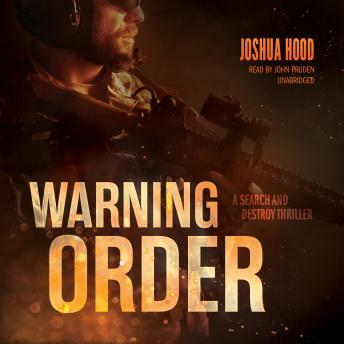 With the help of DOD operative Renee Hart and a team of elite special ops soldiers, Mason is determined to stop an attack aimed at crippling the United States military before time runs out.